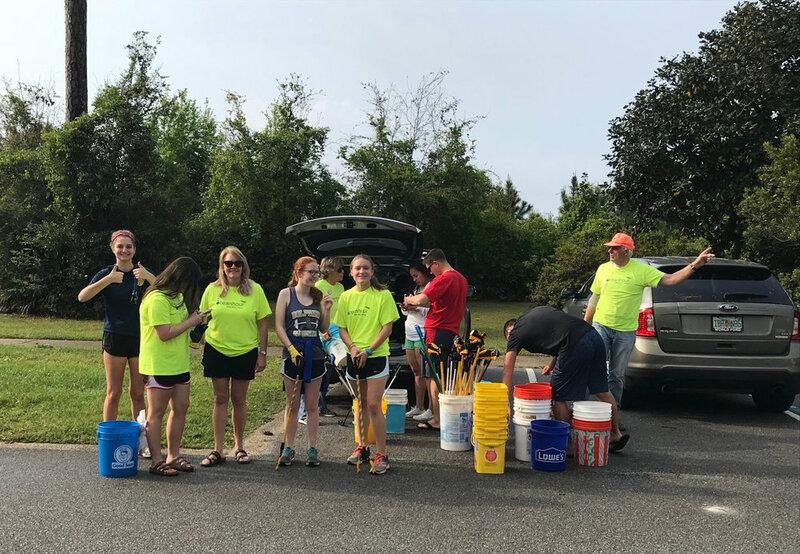 24 members of the West Florida HS National Honor Society helped to pick up 208 lbs of trash at Chimney Park. Meanwhile at Bay Bluffs 31 volunteers collected 265 lbs. 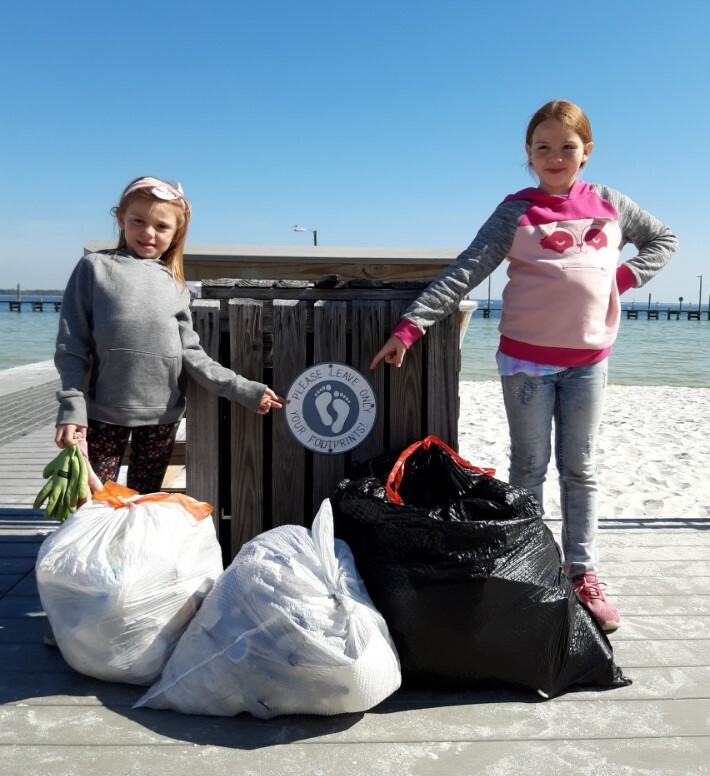 For the week including two individual cleanups, 560 lbs of debris was kept out of our bay! The rain stopped before 35 volunteers at the two sites picked up 206 lbs. But crickets showed up in numbers! staffing booths for the 2nd Annual Pensacola VegFest and 19th Annual SeaGrass Awareness Celebration. Also having two cleanups at Bruce Beach and Payne bridge over Bayou Texar totaling 335 lbs. So far this year 7,449 lbs of debris have been collected from our beaches!